DIY Skateboard Painting in Pool! Here’s a really cool DIY skateboard painting in a pool. Result? You can get an idea how skateboard moves in a pool, pretty rad. 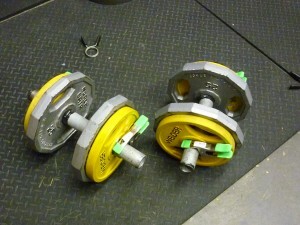 How to Make DIY Thick Bar Dumbbells! While we are on the subject of DIY concrete dumbbells, I found another great tutorial on how to make your own DIY thick bar dumbbells using some galvanized pipes, pipe clamps, athletic tape, and standard weight plates. 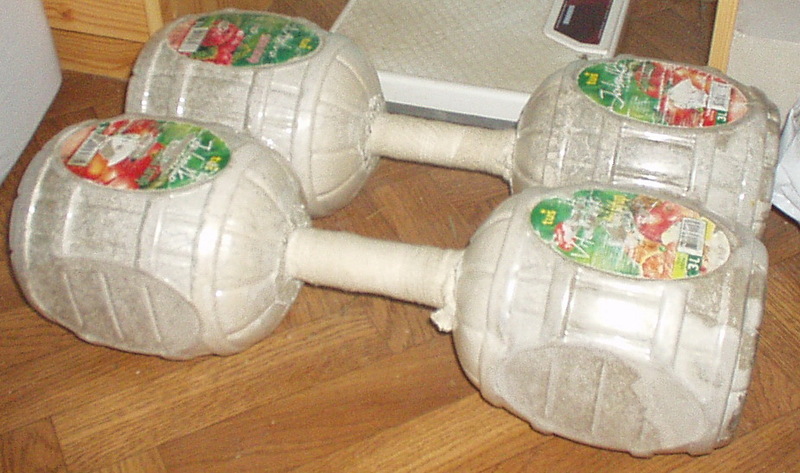 How to Make DIY Dumbbells from Concrete! Today I went to Big5 and Sports Authority to buy some dumbells. Sadly, they didn’t even have the 60 pound dumbbells I wanted plus you had to special order them. 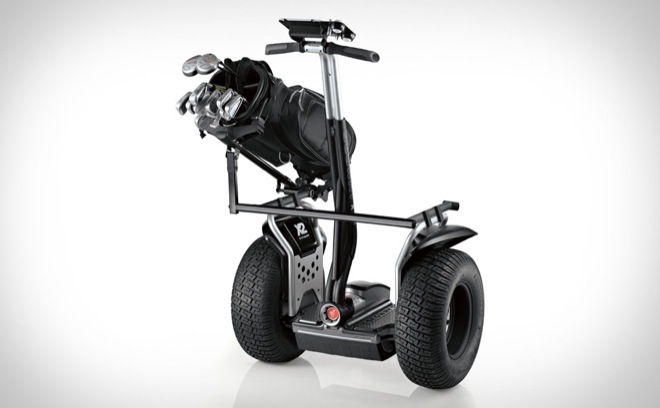 You know, I really, really love golf because I’ve been playing for over 20+ years and this latest Segway will be the most awesome addition to golfers everywhere in the world, the Segway Golf Cart! Well, golf carts aren’t exactly the best things to drive around the golf course because you seat two people and sometimes you have to go back and forth between the two people’s shots. 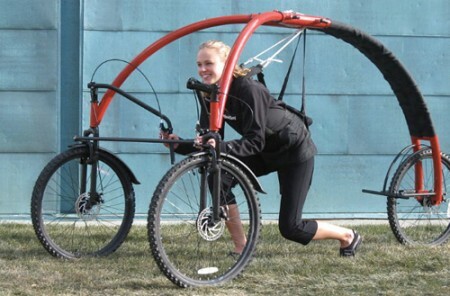 Paramotor Eris 4 Powered Paraglider! There’s a spot here in San Francisco near the border of Daly City and SF that you can watch many paragliding and hang gliding, it’s probably one of the most popular spots for that around here. In fact, one time I saw this paraglider who fell into a tree on the highway. Anyways, I didn’t know there’s a “powered” paraglider, this stuff is insane! Watch the end of the video where the guy literally surfs the lake. This is the future of search and rescue. DIY Punching Bag Training Device! Simply punching a punching bag for hours on the end probably won’t get you better at boxing or any other martial arts. 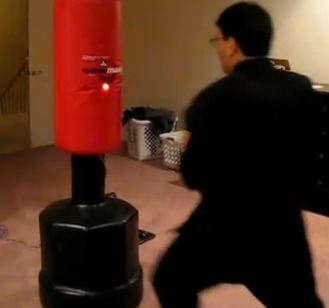 But here’s an incredible DIY punching bag training device that teaches you to punch at different point. It’s very similar to pointing a laser for your cat to chase but believe me, as a black belt in Tae Kwon Do myself, I can appreciate such a great training device. I just wonder if companies will get ideas from this and make some better punching bags. You know I see a ton of people here in San Francisco who hang glide on a daily basis and some day I plan to make it my hobby too but for those of you who are afraid of all the risks of flying, there’s Street Hang Glider called StreetFlyer. I think it’s a pretty neat concept for those of you afraid of heights and it can even help real hang gliders train the same muscles used in air. 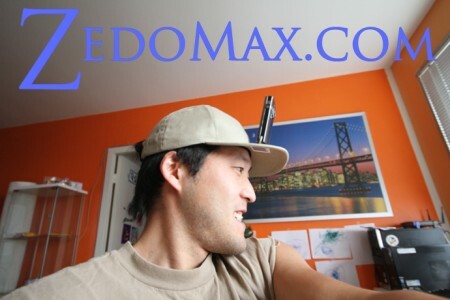 The other day, I bought HatCam so I can use it while snowboarding but was researching further because HatCam seemed to be a bit flimsy for snowboarding needs. 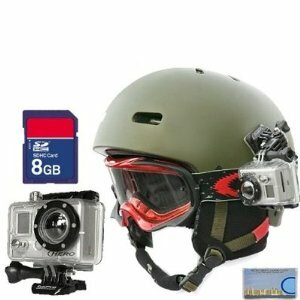 Anyways, after couple hours of researching online plus watching the video quality people uploaded on YouTube, I found the perfect camcorder for snowboarding, the GoPro HD. Philippe Croizon – Inspirational Man of the Year! Do you feel down? Is your life depressing? Well, don’t, perhaps Philippe Croizon, the limbless man who just swam the English Channel should inspire to live on and be positive. 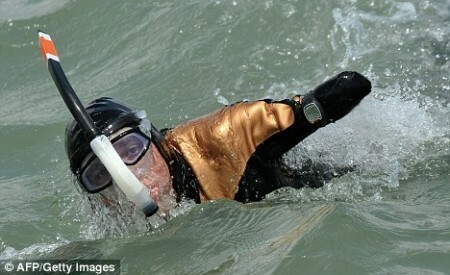 A man with no arms and no legs was today celebrating becoming the first to swim across the English Channel – arriving a full 10 hours ahead of schedule. Philippe Croizon, a 42-year-old who lost all of his limbs in a freak accident, achieved the incredible feat using specially designed prosthetic flippers.